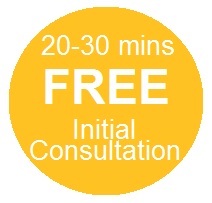 *Initial Consultation - this is an informal 20 to 30 minute consultation either via telephone or in person enabling us to discuss the nature of your case, answer any questions and assess your situation. There is absolutely no obligation to take the therapy forward if you feel it is not right for you. It is important to note no therapy will take place during this initial consultation. 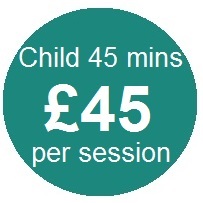 All session fees (except HypnoBand) are payable at the end of each session using cash or cheque. For the HypnoBand and Smoking Programme payment is required in full at the beginning of the treatment. Healthcare Provider Claim: If you have Westfield Health through work, you can claim back your hypnotherapy sessions from us. Please let us know when you book and we can provide you with the relevant invoice. Therapy in the City understands that sometimes, due to personal circumstances my clients have to rearrange appointments. If you are unable to attend your booked session please let us know at least 24hrs prior to your appointment by email or telephone. We will be happy to rearrange your appointment and you will not incur any charges. Cancellations made without 24 hours notice will incur a 50% cancellation charge. 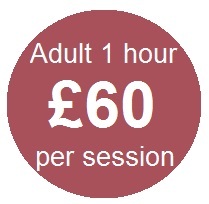 Therapy in the City reserves the right to charge this cancellation fee for missed appointments and non-attendance.